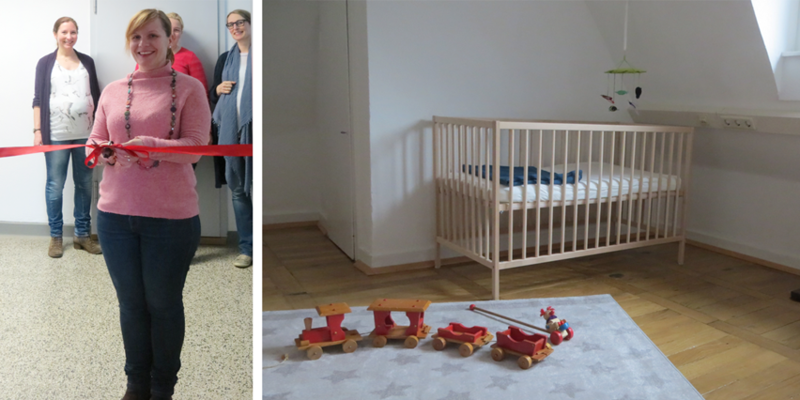 There is a “family room” for children and their parents at the Poppelsdorf Campus at the institute for animal sciences (Katzenburgweg 7, entrance Carl-Troll-Straße). This room can be used by members and students of the faculty of agriculture, as well as by interested persons from other departments. The family room is equipped with a crib, a changing table, and toys. It is located next to an office, from which it is visible via a window in the door.